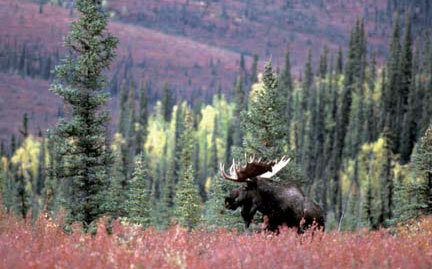 Moose inhabit aspen and willow thickets, spruce forests and swamps, preferably near bodies of water. Moose are excellent swimmers and are able to swim up to six miles an hour. Heavily hunted until the early 20th century, the moose has made a comeback due to protection and preservation of its northern habitat. Habitat loss currently threatens the population.